The modern world is fast-paced and the coffee industry has made changes for the consumer’s convenience. Coffee shops offer the choice of coffee to go and drive-throughs are a feature of many shops as well. This has overall reduced the social interaction involved in an individuals coffee experience. The conversations through a drive-through window are limited to the customer’s order and perhaps an exchange of some pleasantries. Purchasing coffee through a drive-through also completely eliminates the opportunity for customers to meet each other and interact. One of the newest technological advances in the coffee world is Starbucks Mobile Order & Pay available through their app. 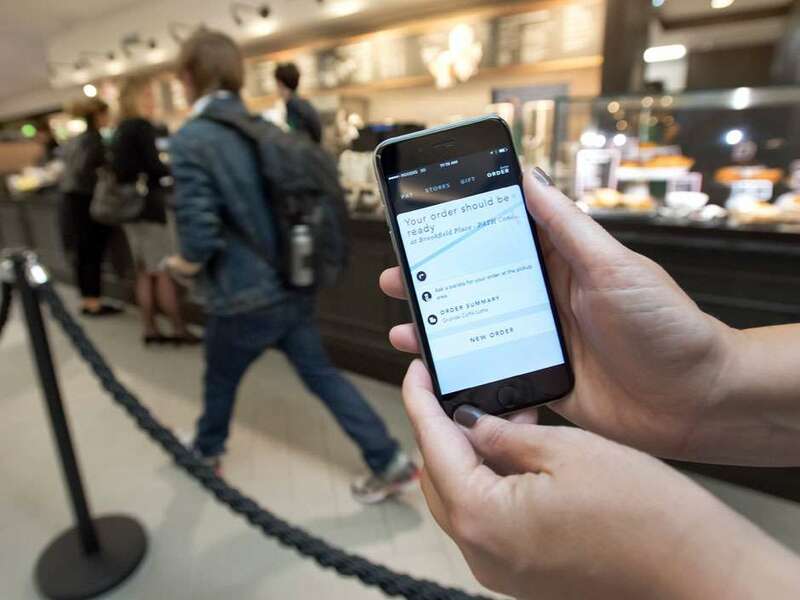 Customers are able to pre-order and pay for their drinks and can pick it up at a specified Starbucks store. This advancement moves customers further away from the original social focus of coffeehouses. The app requires no exchange of conversation while grabbing coffee. Customers enjoy this feature as it fits into their hectic lifestyles. Many individuals rely on the caffeine in coffee to help them keep up with their busy schedules. Coffee drinkers range from those with demanding jobs to university students and everyone in between. This is unlike the individuals in early coffeehouses that mainly consumed the coffee for social reasons. Modern coffeehouses now welcome all individuals to enjoy their features. Coffee shops are still locations of intellectual growth however, it is often through electronic devices rather than traditional forms of communication. When walking into a coffee shop it is difficult to not notice that majority of the people are plugged in to their headphones or perhaps are distracted by laptops and cellphones. The electronics act as a barrier which is preventing customers from communicating and discussing ideas with one another. Many opinions and judgments on current events are passed via social media. However, interacting with one another virtually is not the equivalent of face-to-face communications. Communicating through social media is not as effective due to the lack of body language and the restriction of character limits that are imposed. Individuals do still visit coffee shops to meet and catch up although the design of the stores is not as open as the original coffeehouses. The majority of tables in modern shops are often limited to two or four customers whereas the communal benches offered an opportunity for larger conversations and more ideas to circulate. There is a large supply of coffee shops now, although many are chains and lack the character that early coffeehouses once had. Regardless of the location of the Starbucks or Tim Horton’s each brand has the same general interior design. Digital image. Accessed April 9, 2017. http://wpmedia.business.financialpost.com/2015/10/1006starbucks.jpg?quality=60&strip=all. "The Best Cafes for Free WiFi in Toronto." BlogTO. Accessed April 09, 2017. http://www.blogto.com/toronto/the_best_cafes_for_free_wifi_in_toronto/.